Vintage Mulberry: When Your Mother Is Jan Showers! When Your Mother Is Jan Showers! 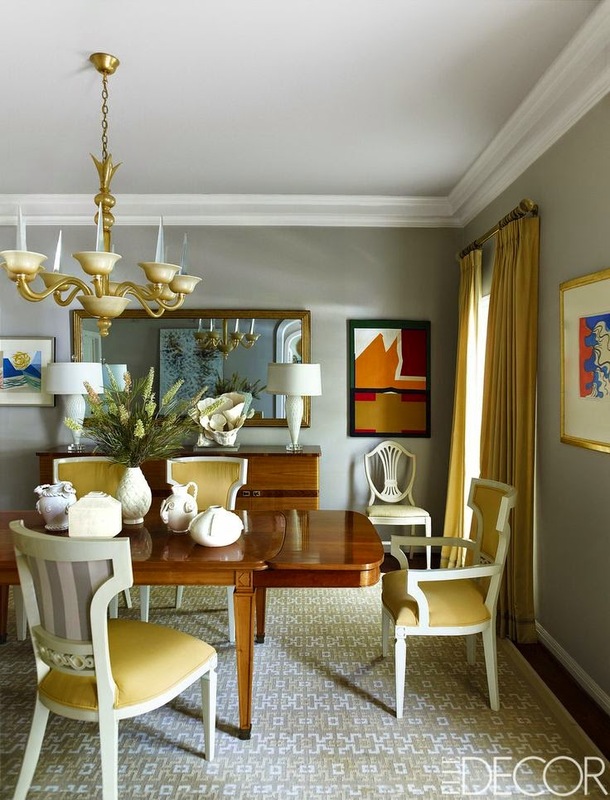 For many years I have admired the gorgeous work of designer Jan Showers. Now that I am sitting here in the midst of a 'Winter Storm Warning' that so far has just produced a lot of cold rain where I live I have thoroughly enjoyed reading the latest issue of Elle Decor magazine. 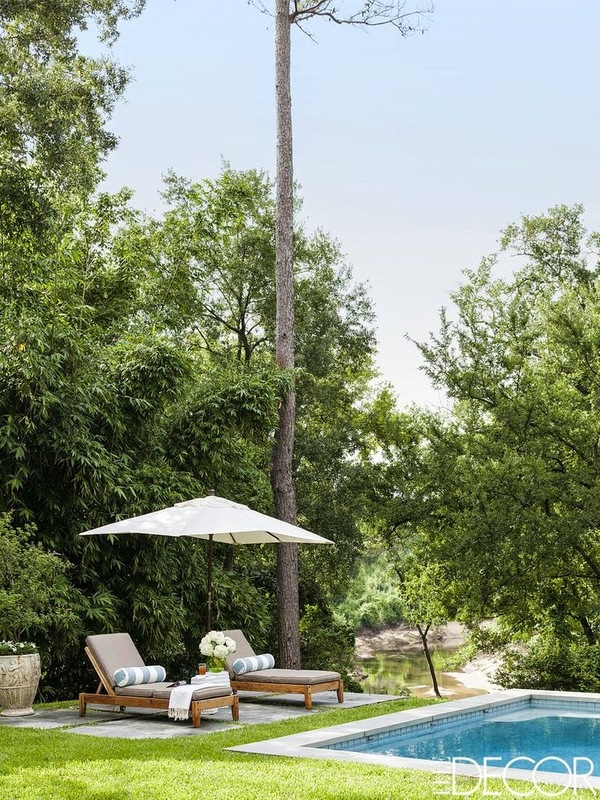 Take a look at the Houston home of her daughter, Susanna Showers Moldawer. 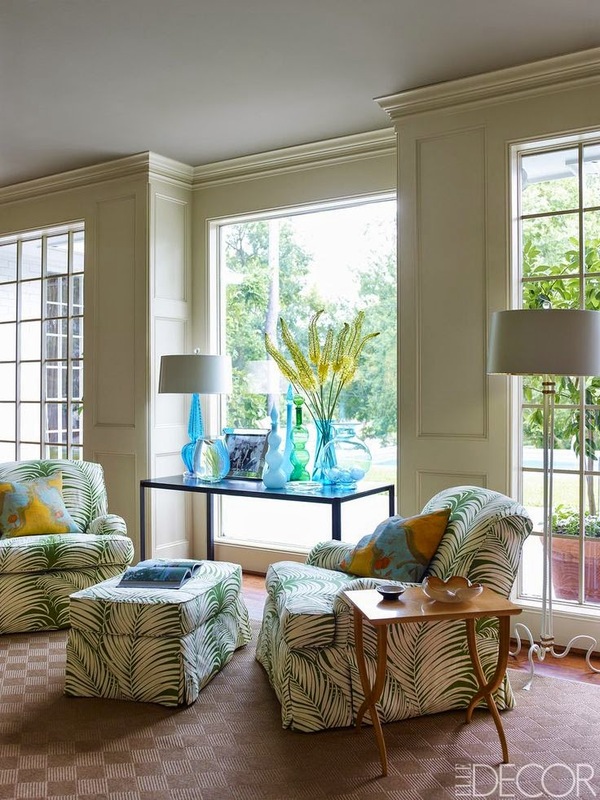 The very first page shows us a glimpse of the beautiful library in the distance as well as the living room that hosts this pair of sunburst mirrors from the Jan Shower's Collection. 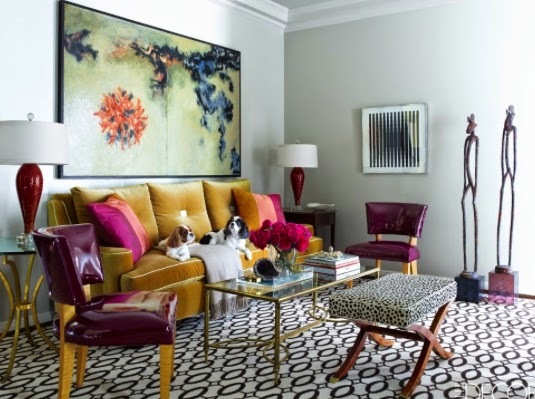 My eyes immediately were drawn to the pair of Dutch Marquetry chairs and rightfully so! They were passed down from Susanna's mother in law. I think they are stunning! It's hard to imagine that when Susanna first walked into the home when it for sale she didn't like it at all! It just goes go to show you what two wonderful design minds can do! Especially when one of them is Jan Showers! For years I have admired her work and just recently began wanting to carry a few of her pieces in my shop. I will most definitely have to look into it! I love that she chose the sunny or "fun" yellow as she puts it because it reminded her of her daughter's personality! Being in the antiques business I am always glad to hear that someone held on to a piece passed down to them from someone special and worked into a more contemporary setting. And I have learned to appreciate contemporary pieces of art thanks to our wonderful artists in my shop! It mixes in so well here! Here is Susanna with her daughter Eliza. Isn't this table beautiful? It is also from the Jan Showers Collection. As pretty as it is the article states that it is truly "used" everyday by her family...even for doing homework much to her mother's dismay! But...if you've got a growing family a house truly needs to be livable and not untouchable in my opinion. I love that color is used in here as well as throughout the house. It looks so inviting! The lamps and glass ware are such a wonderful touch on the table (another piece from the Jan Showers Collection). I'm not sure why we've never carried a bar cart in my shop but this one sure makes me want to! We are currently trying to decide what to do to re-vamp our own pool area. My husband loves this concept with the grass going up to the pool surround. I haven't decided yet but this is certainly gorgeous! And my favorite room might just be this bedroom! 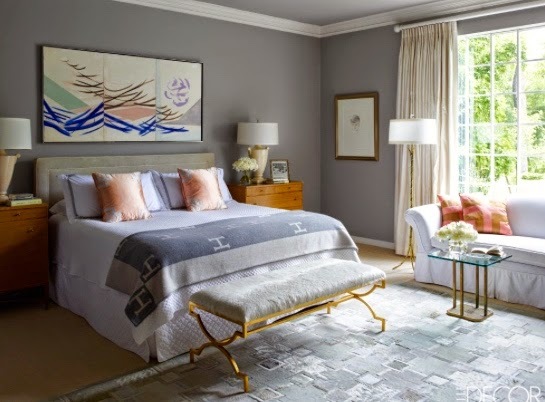 Just look at that Hermes blanket! The entire house is inviting, welcoming, charming and decorated to a 'T'. I loved it and I'm glad for this gloomy day to sit at home and finally catch up on some of what's going on in the design world right now! I must say that there might just be ulterior motives in my search of Houston designs…will keep you posted on that! Take care and I hope you are enjoying some better weather wherever you are! Such an eclectic , cool space. She is wonderful! What a beautiful space! I love the traditional and modern mix, especially the art. Carolyn, I see that the apple does not fall far from the tree. 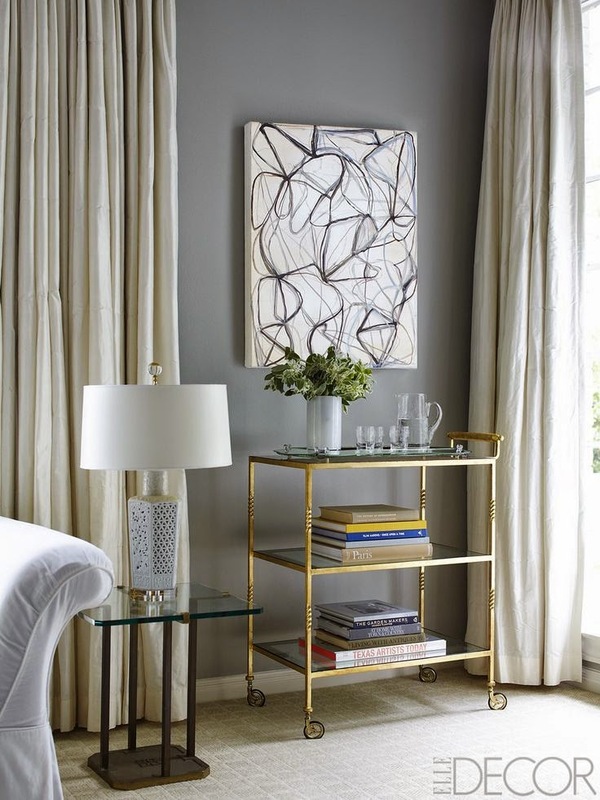 Jan has some of the most beautiful pieces in her collection of furnishings. Juts look at that bench at the end of the bed in that luxurious bedroom!! I love that first photo! Simply gorgeous all around however. I missed this article, I must go pick it up!! Jan Showers is such a talent and her daughter's home is amazing. 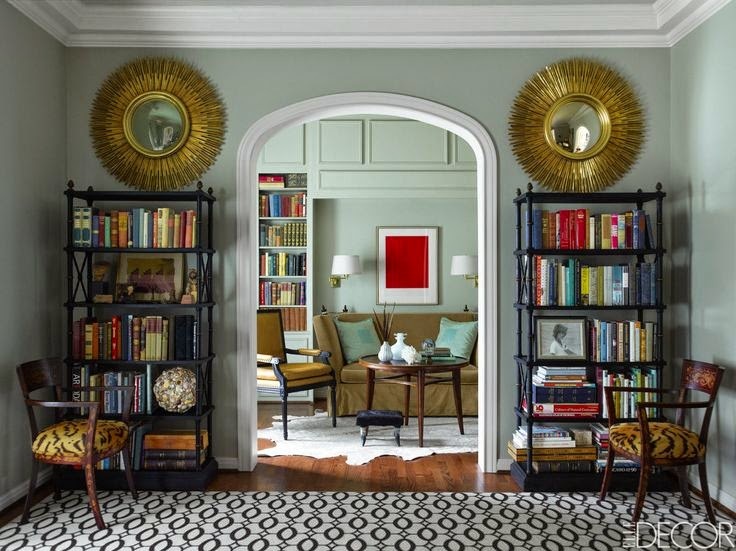 Just love the double starburst mirrors over the bookcases in the first image…gorgeous!